Design and edit layouts for MEMS/IC fabrication. Is there a better alternative to LayoutEditor? Is LayoutEditor really the best app in Applications category? Will LayoutEditor work good on macOS 10.13.4? 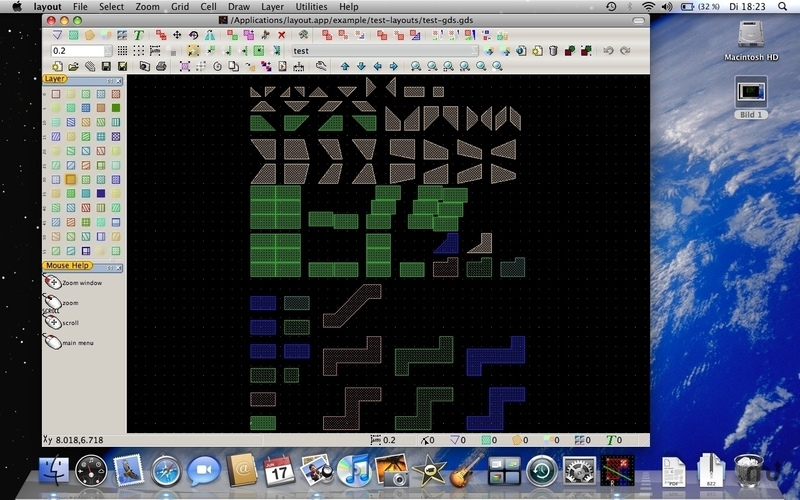 LayoutEditor is a program to design and edit layouts for MEMS/IC fabrication. As well as it is suitably for Multi-Chip-Modules (MCM), Chip-on-Board (COB), Low temperature co-fired ceramics (LTCC), Monolithic Microwave Integrated Circuits (MMIC), printed circuit boards (PCB), GDS Editor thick film technology, thin film technology, …. It has sophisticated functions like all angles, font generator, macros, boolean operations, design rule checker, OPC, netlist driven layout and LVS. The Calma GDSII file format is used as the primary file format. Also OASIS (Open Artwork System Interchange Standard), DXF, CIF (Caltech Intermediate Form) and Gerber (RS-274X) are full supported. Alliance, Lasi file can be imported. The LayoutEditor is crossplatform compatible and runs on Windows, Linux, Mac OS X and other platforms. The published price is that of a one-year subscription for LayoutEditor Basic. Additional edition and pricing information is available on the developer's site.